My wife writes on a TV show that shoots in New York City. Twice a year or so, she needs to be on set for about 3 weeks. Up until Niko was born, this meant I got to wander Manhattan and Brooklyn, eat a lot of food, and meet old friends for drinks. Post-Niko, I can’t wheel around so freely. Luckily, the 26th street entrance to the High Line Park is three blocks away from where we stay, and I’ve taken to walking the length of it daily. I’m not alone. The staggering success of this post-industrial eyesore turned iconic city park is renowned world-wide, and evident from the throngs of locals and visitors alike wandering it’s 1.5 mile length, cameras pressed to faces, shooting in all directions, rain or shine. 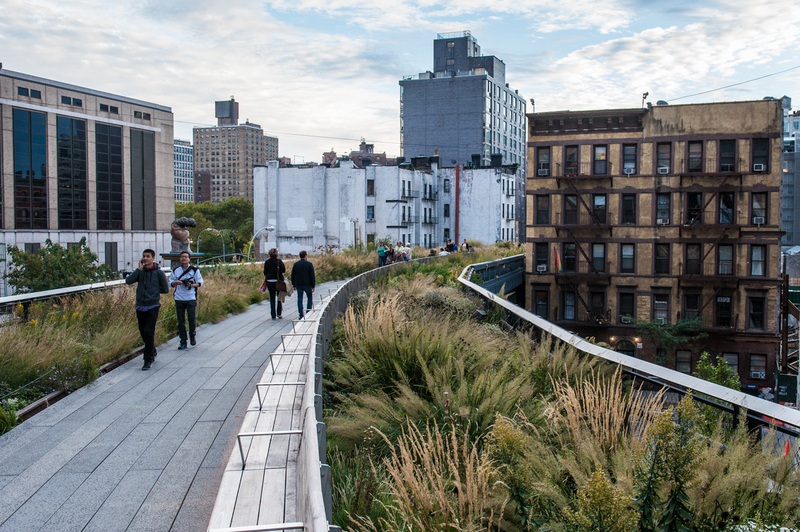 Floating above Chelsea, The High Line sublimely removes you from, and gives you a richer context for, the city you are in. It reminds me of the utopian designs imagined by Buckminster Fuller, of a city living in balance and harmony, saved by smart, conscious design. 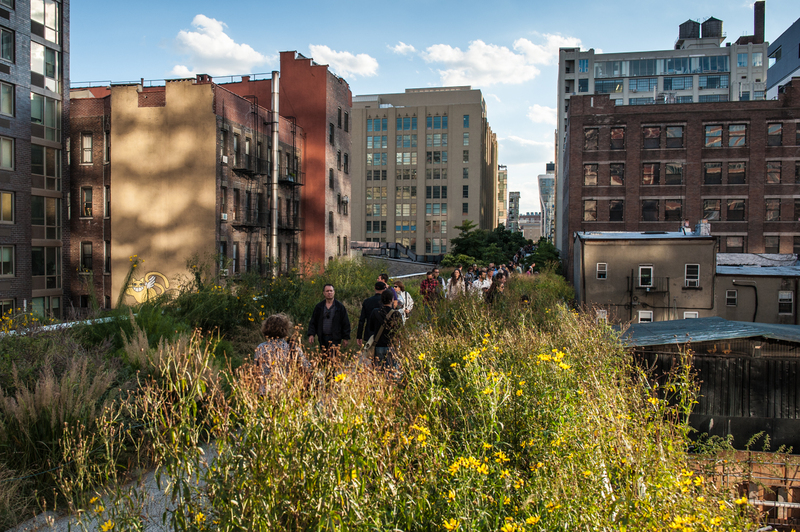 From its forested start at Gansevoort Street all the way to wild weeds of 31st Street, The High Line has a singular ability to constantly reframe Manhattan historically, architecturally and, most important from my perspective, naturally. Among all that the High Line is, an often overlooked thing is plant and animal habitat on a scale I didn’t think was possible in Manhattan. From spring into fall, the flowering plants of the High Line are vibrating with pollinators like honey bees, wasps, Monarch butterflies and Swallowtail butterflies, to name a few.